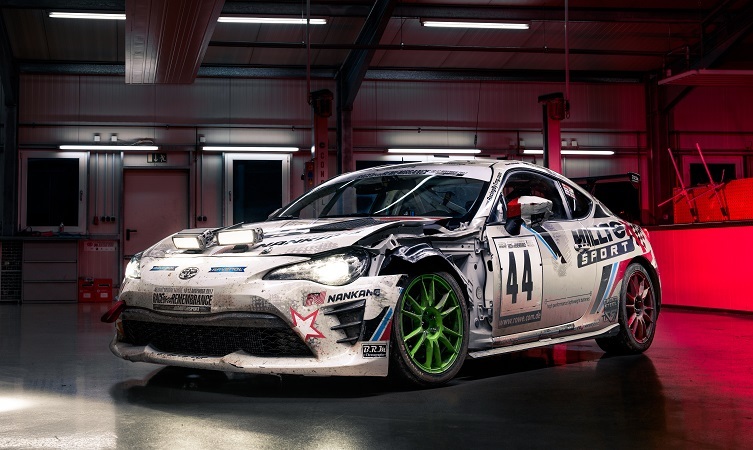 British driver Dale Lomas made the above comment while still buzzing from winning the first round of the GT86 Cup earlier this year. He predicted that if the new Milltek Sport team maintained its high-energy pace and kept out of trouble the championship could be theirs. It was a brave statement for a race outfit in its inaugural season. 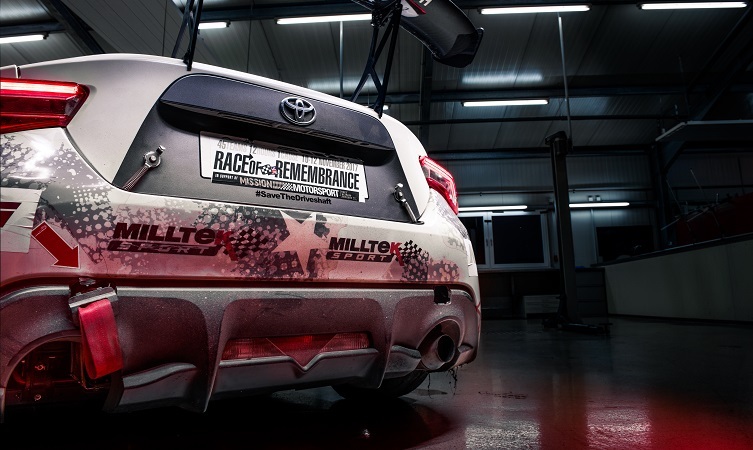 But now that the host VLN series has concluded for the year, how did the Derbyshire-based Milltek Sport team – best known for its precision-engineered performance exhaust systems – get on in the overall championship? With five class wins and two further podium finishes over the course of the season, Milltek Sport was delighted to secure the VLN title for Cup-4 class vehicles. 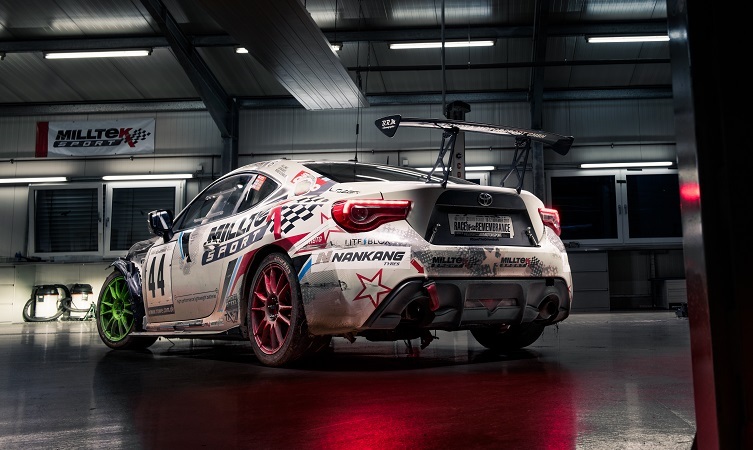 Such consistent performance meant the team remained in contention for the overall GT86 Cup right to the very end, eventually conceding the championship by just two points to the Toyota Swiss Racing team. Halfway through the championship, the GT86 also posted an heroic performance in the classic 24 Hours of Nürburgring endurance race. Pitched against some of Europe’s most competitive teams, Milltek Sport came home a highly respectable third in class and 87th overall. One of the keys to this car’s success has been its crack driver line-up, consisting of ex-BTCC turned GT ace Tom Onslow-Cole, Dale Lomas and German-born Luke Gavris. Onslow-Cole was particularly generous with his praise for the Toyota and the season as a whole. 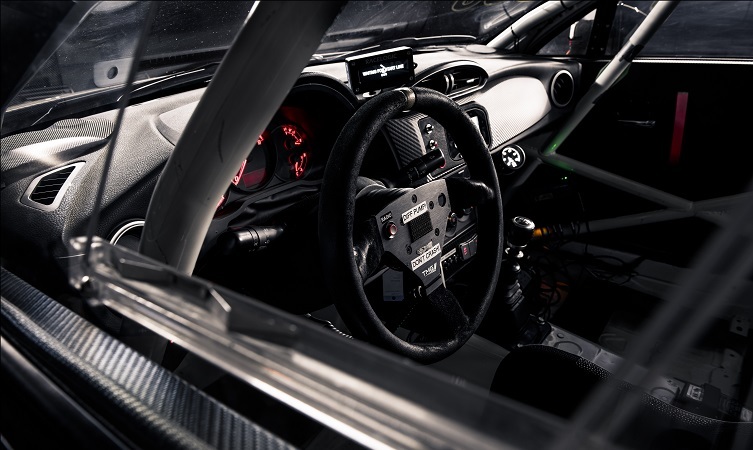 The car itself is an official GT86 CS-Cup model developed and produced by Toyota Motorsport GmbH. Its specification blurs the line between production and full-blown racer with trick software that enables flat-shifting and auto-blip, and an adjusted sixth gear sharing space with more conventional, real-world modifications such as lowered H&R/Bilstein suspension and Alcon four-pot front brakes. 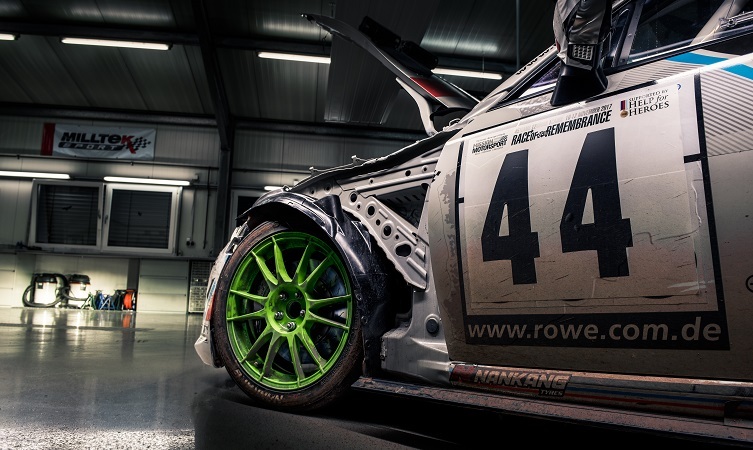 It’s a potent combination yet also one that has proved immensely tough, more than up to the rigours of endurance racing. 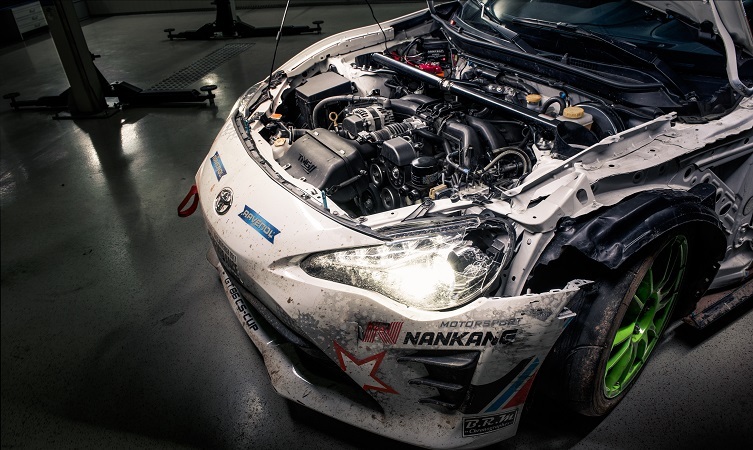 On that note, have you noticed that the Milltek Sport GT86 pictured here looks more than a little battle-worn? That’s due to something of a tussle fought in its last outing of the year, the 2017 Race of Remembrance. This charity event saw teams competing at the tricky Anglesea circuit in North Wales, with all funds donated to Mission Motorsport, an outfit affiliated with Help for Heroes. It’s a race in which Milltek Sport has excelled in the past. 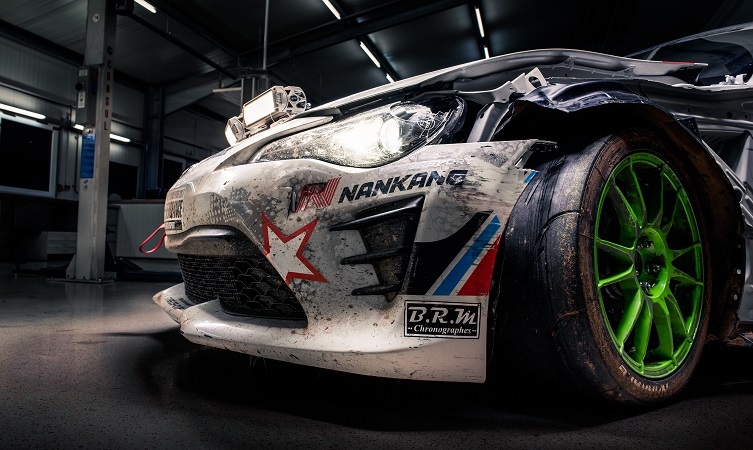 But unfortunately not this year, as another competitor put paid to the team’s chances early on in the event and added a few extra battle scars in the process. Nevertheless, this season of intense competition has proved that the Toyota GT86 CS-Cup car is competitive, ultra-reliable and hard-as-nails. On the evidence of this year, we can paraphrase Dale’s earlier comment this way: the team definitely drove hard, definitely drove fast and… mostly stayed lucky.